Lo bueno: rapido check in y check out, estacionamiento con precio razonable al lado del hotel, habitaciones modernas, pileta bien. 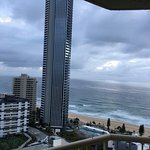 Thank you for taking the time to write a Trip Advisor post following your recent stay at Novotel Surfers Paradise, I am sorry that the Hotel and the product and service therein provided a mixed experience for you, please allow me to express my apologies. I was happy to read that you enjoyed your Reception experience, newly refurbished room and the pool facilities on Level 5 during your stay. I am sorry that you found breakfast very busy at peak times, I can assure you that the Team strive to seat our guests immediately tables become available, however when the restaurant is full it can create small delays for guests arriving at the restaurant at that time, I am sorry for your inconvenience. 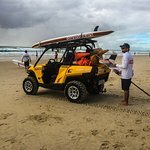 Thank you for your comments AxlGnr and my Team and I do hope that next time you are on the Gold Coast you will provide us with the opportunity to serve you better. El precio que encontraste es un 30 % más bajo que la tarifa promedio de US$ 183/noche de este hotel. El precio que encontraste es un 12 % más bajo que la tarifa promedio de US$ 309/noche de este hotel. Thank you for taking the time to write a Trip Advisor post following your recent stay at Novotel Surfers Paradise, it is always a pleasure to receive positive feedback from our guests. I will share your comments with my Team, as I am sure that they will be very happy to know that you enjoyed your stay with us and the great location provided by the Hotel. 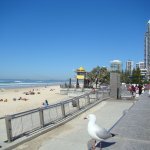 Buena ubicación céntrica si es lo que se busc, a doscientos cincuenta metros del arco de Surfers Paradise y a 200 de la playa. Relación Calidad - Precio muy bien. La habitación también muy bien. 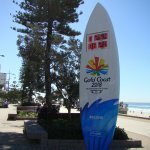 Thank you for taking the time to write a Trip Advisor post following your recent stay at Novotel Surfers Paradise, it is always a pleasure to receive such positive feedback. 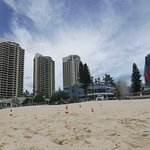 I was happy to read that you enjoyed your time at the Hotel and it's central location in Surfers Paradise which offers everything from the world famous beaches to the lively night life.